Don’t waste time assembling your party inflatables. Our team will help you set it all up so the only thing you have to worry about is buying presents and having fun. We have bouncy castles, a bouncy sport arena, and plenty of options to choose from. Our experienced team can also assist you with the deliveries when you rent tables and chairs. We carry the most affordable pricing in town and proudly service San Antonio, Texas, as well as its surrounding areas. Ask about our gazebos and bundle offers. The success of Daryl Fun Bounce has grown due to an excellent customer service. 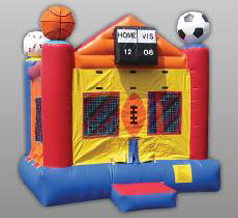 We rent canopies, tables, chairs, water slides, and bounce house rentals. With over five years of experience, our competitive prices and the way we handle our deliveries has separated us from other competitors around the Live Oak, Texas area. 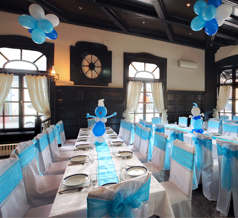 Daryl Fun Bounce strongly believes that our customers should not go through so much hassle as planning a party is overwhelming enough. We go the extra mile and take care of delivery, set up, and even pickups. To support how well previous customers speak about our services, we invite you to visit our testimonial blog.